In this book, an international team of fourteen scholars investigates the Chinese reception of Indian Buddhist ideas, especially in the sixth and seventh centuries. 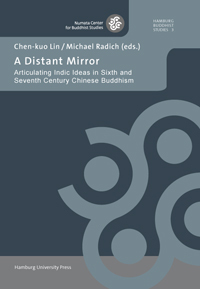 Topics include Buddhist logic and epistemology (pramāṇa, yinming); commentaries on Indian Buddhist texts; Chinese readings of systems as diverse as Madhyamaka, Yogācāra and tathāgatagarbha; the working out of Indian concepts and problematics in new Chinese works; and previously under-studied Chinese evidence for developments in India. The authors aim to consider the ways that these Chinese materials might furnish evidence of broader Buddhist trends, thereby problematizing a prevalent notion of “sinification”, which has led scholars to consider such materials predominantly in terms of trends ostensibly distinctive to China. The volume also tries to go beyond seeing sixth- and seventh-century China primarily as the age of the formation and establishment of the Chinese Buddhist “schools”. The authors attempt to view the ideas under study on their own terms, as valid Buddhist ideas engendered in a rich, “liminal” space of interchange between two large traditions. Edited 1 time(s). Last edit at 12/10/2014 10:06AM by CBSF Admin.